At A&H Forensic Roofing, we understand that your home or business’ roofing system is a critical component to your overall comfort and safety. The roof of your home is the first layer of protection against harsh rainfall and heavy snowstorms and it serves as an important part of your home’s insulation system. If you’ve been thinking about hiring a roofing contractor to repair, replace or restore your home’s current roof, it’s important to understand the basics of your roofing system before reaching out to a professional. Did you know your home’s roofing system can fail slowly over time? If your home’s gutters are clogged with leaves, dirt and debris, they can push rainwater under the shingles of your roof, causing the plywood underneath to become damp and eventually buckle. While there are several telltale signs your roof may need repairs, such as cracked or missing shingles or leaks in the interior of your home, these signs are not always obvious to the human eye. In order to properly assess the health of your roofing system, you should have it checked by a professional roofing contractor at least twice a year. If you’re looking for a reliable roofing company in North Carolina or Florida, contact the roofing experts at A&H Forensic Roofing. We’ll travel to your home or business to conduct a thorough assessment of your roof before recommending the best repair, restoration or replacement solution for your property. If you can’t decide whether your roof needs a few shingles repaired or a complete roof replacement, it’s best to leave that judgement call to a professional contractor. If your roof hasn’t been replaced for over twenty years, it may be time to upgrade your roofing system to a more efficient model. If your roof has experienced damage due to a storm or falling tree branch, a simple shingle replacement may be all that is needed to correct the damage. 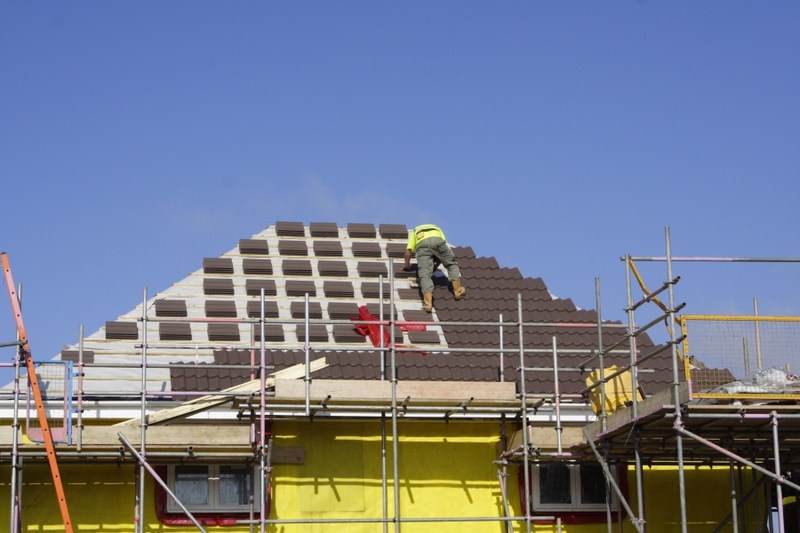 There are several types of roofing materials available on the market today, the most common being asphalt shingles, metal, slate and clay tiles. While the prices of each of these materials varies, asphalt shingles tend to be among the least expensive options for homeowners in North Carolina and Florida. If cost is not a concern for your roof, the style of your home and the climate you live in may be a determining factor for the best type of roof material. If you’re unsure of the best type of roofing materials for your home or business, contact the roofing contractors at A&H Forensic Roofing today! Your roofing system’s performance can be directly affected by numerous external factors. Our roofing contractors understand that roofing issues can be unpredictable and frustrating, especially when they are caused by elements beyond our control. While there are a variety of things that can negatively affect the efficiency of your roof, knowing what they are will only help you to make better home improvement decisions. While you may love the warmth of the sun during the summer months in North Carolina and Florida, the sun is actually one of your roofing system’s worst enemies. The heat and ultraviolet rays can cause your roofing materials to deteriorate over time. If your home or business is facing west or south, deterioration can occur even faster due to your roof’s extreme exposure to the sun. If you live in an area of the country that gets a significant amount of rainfall during the year, it could be wreaking havoc on your home’s roof. When rainwater seeps through cracks in your roofing system it can cause the structure of your roof to rot over time. Rainwater has a way of sneaking underneath the shingles and shakes of your roof, encouraging mildew to grow in your house on the walls and ceilings. Melting snow often freezes at a roof’s overhang, forming an ice dam where your gutters once were. 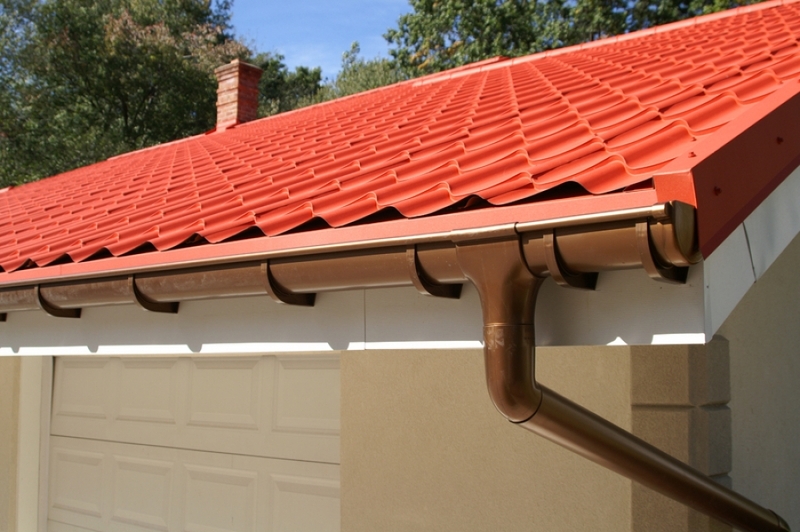 This not only blocks proper drainage to your home’s gutters, it allows water to back up and seep underneath your roof’s shingles. If your home currently has wood shingles on its roof, check for signs of moss and algae. Moss and algae thrive in damp, moist and shaded areas, so be sure to check your roofing system near trees and bushes. If your home is situated between large trees that hang over your roof, it might be a good idea to trim them down to reduce the risk of moss and algae growth. Violent wind can cause serious damage to your home or business’ roofing system. If you notice pieces of shingles, or even entire shingles, flying off of your roof in the midst of a storm, it might be time to call a professional roofing contractor. High winds can push water underneath your roofing materials which can lead to a rotting roof structure and in some cases, total roof replacement. If you live in a climate that gets violent hail storms and large hailstones, your roofing system could be suffering from serious damage. Not only can hail rip and tear the shingles off of your roof, they can tear the underlayment beneath the shingles, causing damage to the interior of your home. If your home or business’ roofing system has been damaged, or it’s been awhile since your last professional roof inspection, contact the experts at A&H Forensic Roofing. When you call our licensed and insured roofing specialists, we’ll schedule a convenient time to visit your property to complete a thorough inspection of your current roof before recommending the best repair or replacement solution for you. From simple roof repairs to extreme roof makeovers, we’ll help install a beautiful and efficient roofing system that will last for years to come. Contact our roofing contractors in North Carolina or Florida today to learn more about our roofing services!